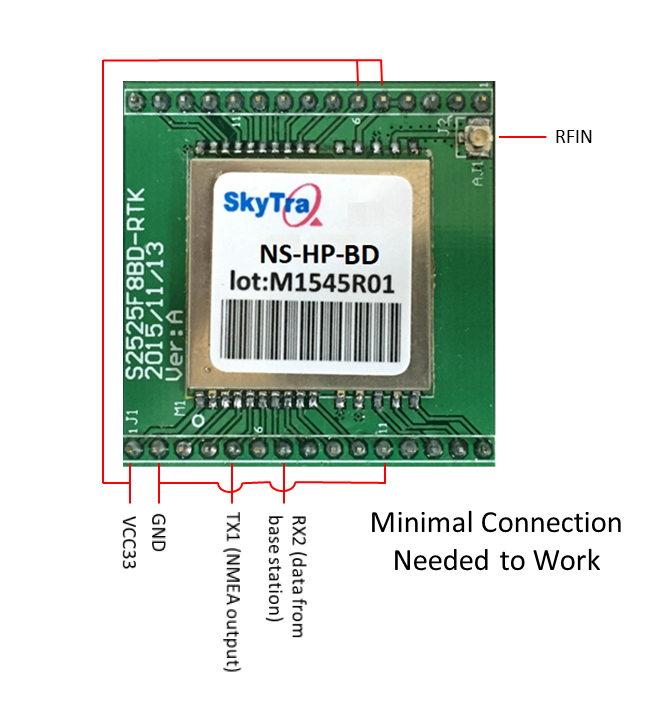 NS-HP-BD is S2525F8-BD-RTK receiver in easy to use breakout board form. Our NS-HP-BD RTK rover best used with a locally setup NS-HP-BD RTK base for 24hr RTK availability. 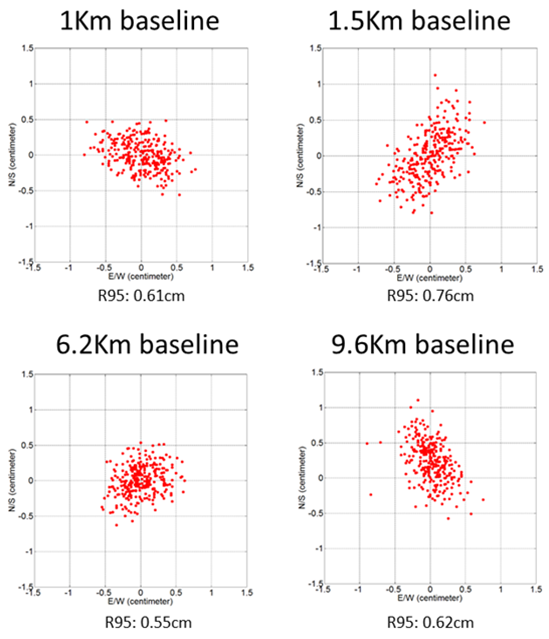 Using NS-HP-BD RTK rover with public RTK base will have limited RTK availability across the day when there are more GPS satellites overhead. 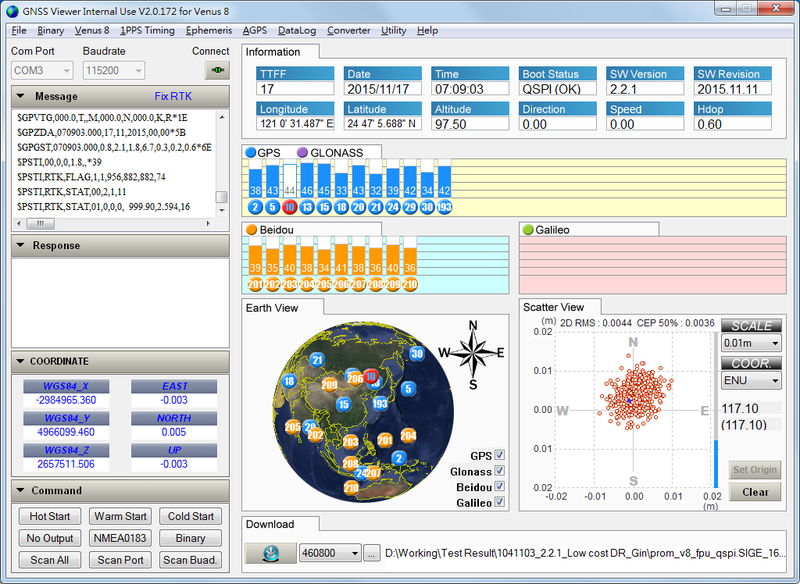 For customers outside Asia, GPS/GLONASS version NS-HP-GL will work better. 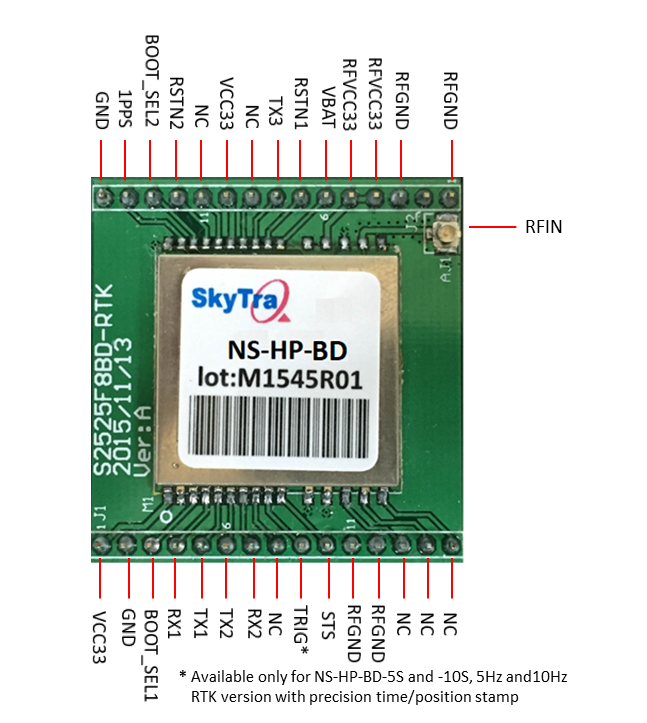 See S2525F8-BD-RTK-EVB product page for update firmware.